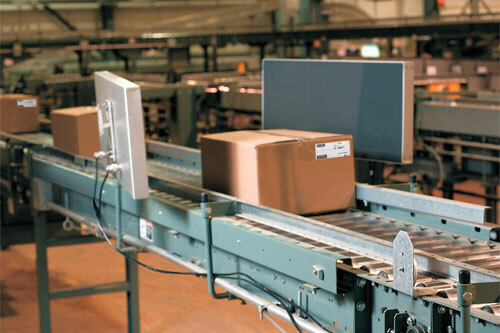 RFID Solutions | Snively Inc.
Radio Frequency Identification (RFID) has changed the way organizations can track and identify products with automated processing utilizing this latest Technology. Snively's expertise falls in the harshest of environments ... Steel Manufacturing, Mining and other Heavy industrial applications. The most rugged environments consisting of extreme temperatures, metal and fluids are where Snively's focus on RFID falls. If it's hard to tag, nearly impossible to trace, not safe for human proximity ... call the extreme RFID experts ... Snively, Inc.
We have adopted our RFID business model to provide complete RFID solution packages to clients who are under these compliancy mandates. Snively, Inc. has been selected as an RFID Solution Provider to aid in the RFID Mandates put in place by Wal-mart, the Department Of Defense, Target, Best Buy, Albertsons and many others to come in the near future. Snively Inc. also specializes in Closed Loop RFID Solutions—Any internal use of RFID for Inventory Tracking, Quality Control, Asset Tracking, Security, GPS Global Tracking etc. Snively’s 20 year expertise in Manufacturing, Distributing and Warehouse Management systems enables us to strategically and seamlessly integrate RFID practices into our clients existing IT systems and infrastructures. TagMinder is an RFID-optimized inventory management solution that increases your visibility of the movement and location of your assets, providing a clear and accurate accounting of what you have and where it is. Employing user-friendly TagMinder software, end users get a complete snapshot of their assets by tracking each item’s unique RFID tag ID. State-of-the-art antenna and reader components allow TagMinder to work unattended, so users can keep their focus where it needs to be – on their job. RFID Site Assessment: Proof of Concept - Before you buy any hardware, test the technology to see if Passive UHF RFID will fit your business needs. Site Assessement includes: One-Day On-Site RFID Overview, Physcial Walk Through and Product testing with Snively provided equipment. RFID Starter Kit (Fixed): Includes 4 port RFID Fixed Reader, 1 circular polarized UHF Antenna & Cable and Sample UHF RFID Tags. There are approximately 100 RFID Certified Solution Provider companies in the world. Analysts agree the global market for RFID hardware, Software and services will experience phenomenal growth in the coming years. The Yankee Group predicts RFID spending @ $1.8 Billion in 2017 and $4.2 Billion by 2018. The Largest distributor of auto-identification/RFID equipment, Scansource has hand selected Snively Inc. to join the RFID Edge program. The RFID Edge program is a graduate Certification program that enables Snively, Inc. to join the ranks of 30 other certified companies in the World that are authorized to sell and implement RFID compliancy solutions for Wal-Mart and the Department of Defense suppliers. Snively, Inc. will be providing one of the few “RFID Lab Environments” in the country. This lab will enable companies to test their RFID – compliant smart labels in order to meet the compliancy mandates as well as to provide “closed loop solutions."